Being a Hero for The House comes with rewards! * Check out what it means to be a Hero for The House below. For information about production sponsorship levels beginning at $5,000, contact Lizzie Lovelady at lizzie (at) thehousetheatre.com or 773.769.3832. For information about production sponsorship levels beginning at $5,000, contact Development Manager Lizzie Lovelady at Lizzie@thehousetheatre.com or 773.769.3832. Get in the action. 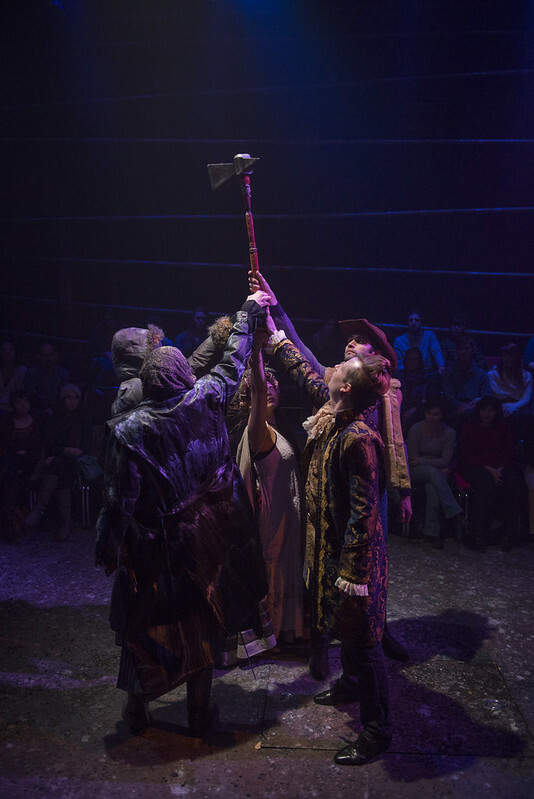 To keep you abreast of all the ways your support helps us in the fray, you’ll have specially granted access to open rehearsals, first readings, tech visits, and other special events to go along with your 2 Basic Memberships that include tickets to plays, discounts for friends, and preferred booking. As a further thank you, you’ll receive all of the gifts below. *The House Theatre of Chicago is a not-for-profit with 501©(3) status. Your gift may be tax-deductible to the extent allowable by law.